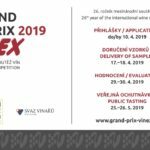 GRAND PRIX VINEX is a traditional prestigious international wine competition and one of the most important, held in the Czech Republic. The first year was held in 1993. The objective of this competition is to give highly professional assessment and honour to the best European and world wines present on the Central European region market. It will be already 25th annual held in 2018. The competition is organised by Národní vinařské centrum, o.p.s. (the National Wine Centre), Zámek 1, 691 42 Valtice, Czech Republic, in cooperation with Veletrhy Brno, a.s. (the BVV Trade Fairs Brno) and Svaz vinařů ČR (the Czech Grape and Wine Producers Association). • Wines are assessed by the international committee of renowned wine tasters in the National Wine Centre in Valtice. • Wine assessment is executed on the platform of the computer system for wine assessment – ELWIS, which was developed in the National Wine Centre. • Medals are granted according to the reached points – silver medal min. 84 points, gold medal min. 87 points, grand gold medal min. 90 points. 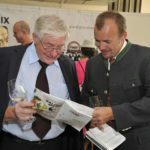 • Further declared will be the “Champion”, category winners, the best wine collection and national winners for the countries that registered at least 10 wines. • “Champion”, the best collection and category winners receive prestigious prizes – trophies designed by world-renowned artist Bořek Šípek. • Producer of the wine with the title “Champion” receive a professional wine cellar cooling from competition partner, the company THERMOTECHNIKA BOHEMIA. • Producer of the Best Collection receive a high pressure cleaner from the competition partner, the KÄRCHER company. 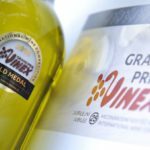 What can award from the GRAND PRIX VINEX competition bring you? • Enrolment in the competition catalogue and presentation of your wine at the Brno Exhibition Centre. • Rising prestige of your wine among wine dealers and wine public. • A possibility to mark your wine with the appropriate award and a possibility to show the award reproduction in your promotion materials. • Promotion of awards among media partners and in the PR activities connected with the competition.